The Kitchen at Second Harvest, managed by Jandyl Doak, is used to teach food bank recipients healthy cooking skills. Shelves at the Community Food Bank in Pullman overflow with cans of cranberry sauce left over from the holidays. Rows of dried and canned beans, lentils and peas are stacked alongside pre-made soups and bags of pasta. For many households each month, meals are built around the wide array of foodstuffs found here. It's not always an easy task. To show just how hard it can be — and to raise some money in an entertaining way — Pullman's Community Action Center is hosting a Chopped-style event this weekend. Three local chefs are competing to see who can cook up the best dish using only ingredients typically found at the food bank. The competition includes chefs Will Wohlfeil of South Fork Public House, Matthew Lasof of Washington State University's Northside Café and Ryan Avery, a local amateur chef. As time on the clock ticks down, they'll each put together a dish using specified ingredients, including a mystery item to be revealed just before the challenge begins. As event attendees watch this culinary action unfold in front of them, they'll be treated to appetizers and a no-host beer and wine bar. After time is up, the chefs will present their creations to a panel of judges, including Pullman Mayor Glenn Johnson, Chef Joan Swenson of Paradise Creek Brewery, Chrisi Kincaid of WSU, WSU Executive Chef Jamie Callison, and a guest judge selected from the audience. The winner receives the coveted "Golden Spatula." Wohlfeil says he feels a connection with the Community Action Center because it's practically a neighbor, located just a block from the restaurant. He says that South Fork occasionally donates to the food bank. Wohlfeil has worked at South Fork, which serves traditional American pub food, for a little more than two years. Before that, he spent 20 years at the Hilltop Restaurant in Pullman. He jumped at the chance to compete in a competition like those he enjoys watching on TV, and figures the competition will be similar to rummaging through the restaurant pantry to put together specials. "Hopefully it's not too hard, but you never know until you're actually in the position," Wohlfeil says. "It all changes when you don't have your usual kitchen there." 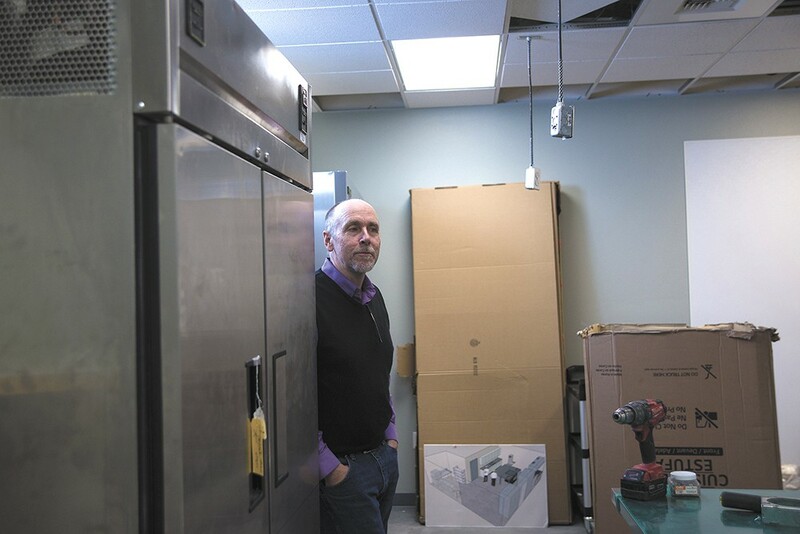 CAC Director Jeff Guyett says the teaching kitchen will be similar to one at Spokane's Second Harvest. The Community Action Center hopes to raise enough money from the event to cover the final costs of a teaching kitchen that's finishing construction this spring, Executive Director Jeff Guyett says. Once the kitchen is up and running, the Center can offer cooking and nutrition classes. They'll also use the space to recover prepared food from local kitchens, including WSU dining halls and local caterers or restaurants. Guyett says the plan is to collect leftovers, split them into sizes suited to large and small households, then keep the food frozen until it's distributed. Called the Community Kitchen, it's been a dream and a plan for more than two years. Similar to the teaching kitchen at Second Harvest in Spokane, the Community Action Center addition will have work stations for class participants to follow along as they experience cooking different recipes. It'll be smaller than Second Harvest's kitchen, but shares the same goal: Help people feel comfortable in the kitchen and making good meal choices for themselves and their families. The Community Kitchen joins the Center's food bank and community garden program, both geared toward alleviating food insecurity in Whitman County — which has the highest rate in the state — by providing more access to fresh, nutritious food to individuals and families who may be forced to decide between buying gas, paying rent or purchasing groceries. The food bank gave away more than 150,000 pounds of food last year. The nonprofit also distributed more than 2,500 pounds of produce from its gardens and hydroponics system, used to grow greens year-round. In 2016, about 7,000 people used the food bank. In 2015, with limited space, the Community Action Center started hosting small cooking classes, such as using a folding table to demonstrate how to make homemade salad dressing. But it was apparent then that a full-size kitchen was needed to teach a wider variety of skills and recipes. In Spokane, Second Harvest's teaching kitchen has hosted workshops and classes for about a year and a half. Julie Humphreys, community relations manager for the nonprofit, says that Second Harvest is really starting to ramp up its cooking class list, putting more than ever on the calendar, and branching out from budget cooking and soup to niche topics like how to make kombucha. 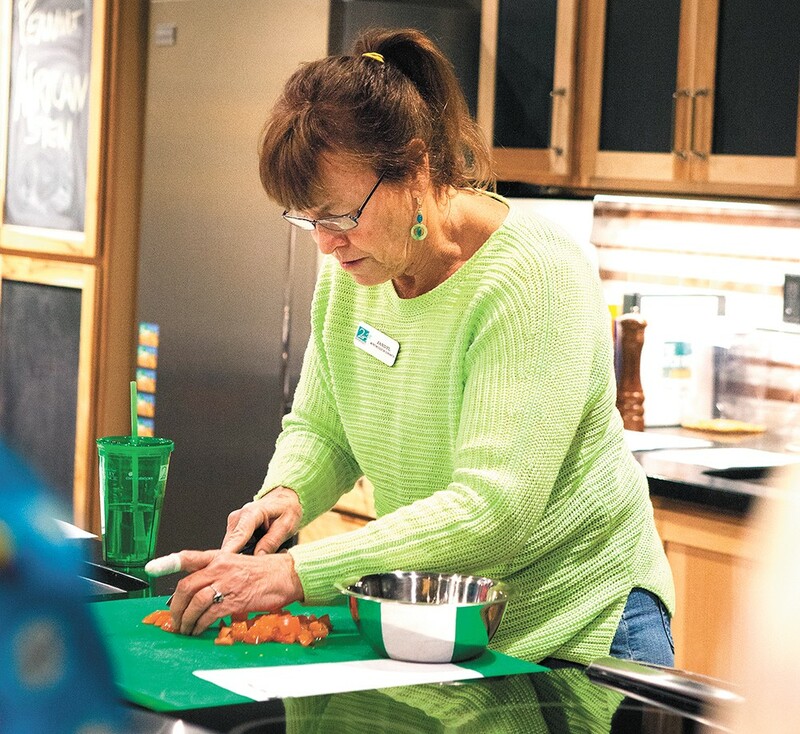 The nonprofit is also offering more paid classes that are of interest even to folks not relying on its food distribution services, including gourmet cooking sessions and kids' classes. Humphreys says that one goal of opening the kitchen was to provide a model to Second Harvest's community partners, whose leaders also agree that the next step to distributing food is teaching people how to cook and eat well.